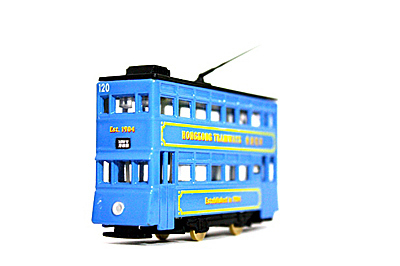 The model - this is one of three trams announced by Tramric Product & Design in early January 2012. Each features tram 120, the only traditional post-war type tramcar still operating in Hong Kong. 'Hongkong Tramways' is printed in English and Chinese along with the lettering 'Established in 1904'. The packaging includes an old tram route as well as an old photograph of a classic tramcar passing through Central.